In addition to the many background checks employers are doing on prospective employees, many are now investigating social media profiles. If you think about it, it actually makes sense. Your activity on the social media gives an employer a glimpse at what you’re really all about. It’s an opportunity to see how you perform in a non-business environment. And it’s all out there in the public eye, where an employer – or anyone else who’s interested – can easily find it. But while you are probably mostly using the social media as a form of entertainment, as well as a connection with friends, you should begin to think about the impact that your profile will have when graduation rolls around. You should also think about how you can begin creating a social media profile that will help you make business contacts and help get you noticed by potential employers. Since it takes a few years to build up a social media profile, start now to prepare it for employer eyes. For most students, the social media is something of a playground – it’s where you go to display your lighter side and to have good time. But while you are doing that, you may inadvertently post information about yourself that can sabotage your future job search. This makes a strong case for being more conscious of what it is that you’re posting. Always ask yourself the question, what would an employer think about this comment, picture, or link? If you have any sense at all that it could represent a negative for future employment, don’t post it! Though you may have been an active participant on the social media since middle school, now is the time to start cleaning up your profile. There’s probably plenty from years gone by that you can’t do much about, and employers may not be terribly concerned about that. But what you are posting as an adult can take on a much deeper meaning. One of the best ways to offset a history of negative social media posts is by putting out more substantial activity that speaks well of you. And this is as it should be; you’re a university student now, and no longer a kid. While you’re out having fun on the social media, you also should be letting your serious side show. That means posting content that will show a level of maturity, as well as growing involvement in the adult world. Make careful, considerate postings regarding significant news events, activities taking place in your intended career, and even in regard to the business world. This will show an employer that you have an interest in your future, and that you’re aware that there’s a world out there beyond university. The social media can be an outstanding tool when it comes time to search for a career type position. Your social media profile should gravitate more toward a career focus as you move closer graduation, and you can also begin using the social media as a way to make important business contacts. Some social media sites lend themselves better to this kind of activity than others. 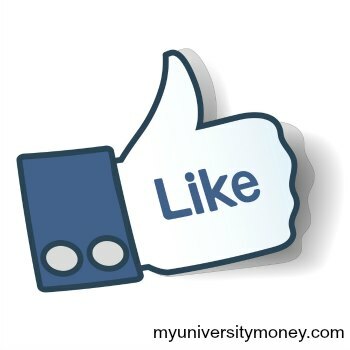 Linked In has become perhaps the primary social media in regard to business and careers. You should begin building a career profile on this site. This is also where you should begin posting career centered content. It is entirely possible that a prospective employer will come across your relevant postings and discuss the potential of future employment. Even if no prospective employer contacts you about a future job between now graduation, you should still use the social media to begin building professional contacts. Just as you make friends with people on the social media for social reasons, you can also begin building relationships toward your future career. Initially, it will be more important to go wide than deep. You want to sample the potential business contacts that are out there, and get as many as you can across the widest spectrum possible. The idea is to begin building professional contacts that could represent a source of potential employment leads as graduation rolls around. Since it takes time to build relationships, particularly over the Internet, you’ll want to get started as soon as possible – even if you’re still a freshman. The longer that you have contact with people, the more significant your relationships will become. In the previous section we talked about going wide rather than deep with your social media business. But as time goes on, you should try to develop deeper relationships with a relatively narrow number of contacts. It could be that these contacts represent employers that you would like to pursue. You can also find that some of these contacts take a special interest in you. They may even become references or mentors for you. This is important because while you are learning basic skills for your career through university, you’re adding another dimension to your repertoire by learning what you can from people who are actually out in the field already. If one or two of them become mentors – people who are actually willing to take you under their wing to help you enter the field – you’ll have struck social media gold. It takes time to build relationships on the social media, just as it takes time to eliminate a potentially negative profile. What ever year of school you’re in right now, begin to clean up your profile, to make it more professional, and to build the kind of contacts who will help you build the career of your dreams.